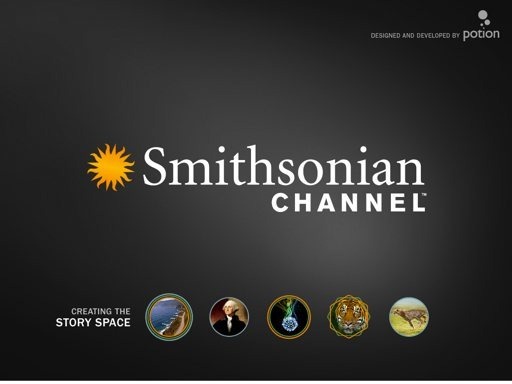 Smithsonian Channel is dedicated to television that explores the history of our planet, life and culture. This app introduces a brand new way to watch, find and explore our vast video collection. 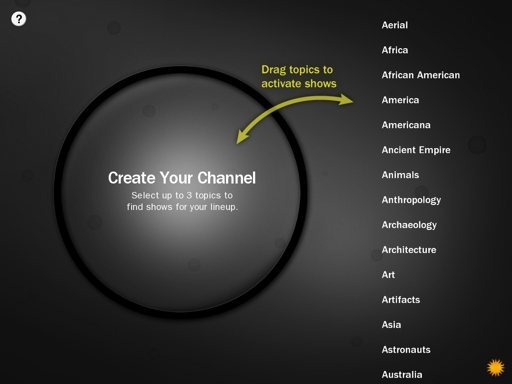 In the Story Space, you can find stories based on your interests, create your own channel, then sit back and enjoy hours of video. Here, curiosity is rewarded and discovery is at your fingertips. 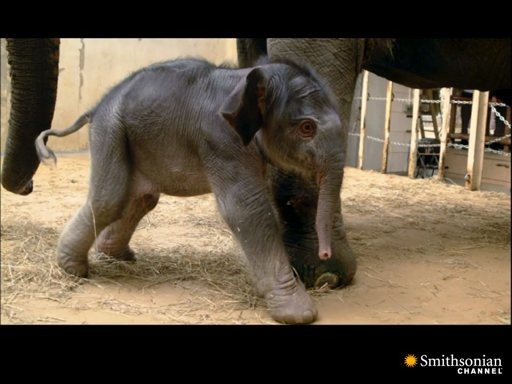 The app is full of great video content across a wide range of topics. Some of the top-level categories covered include Air & Space, Culture, History, Science & Nature, and Kids. The Kids section is particularly good, especially if you have kids who love animals. My daughter and I spent ages enjoying it a couple of evenings ago. 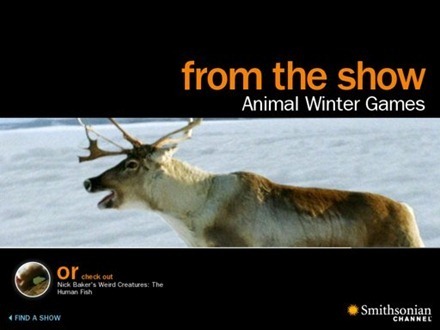 The Animal Winter Games had her cracking up. Smithsonian Channel for iPad offers a continually rotating selection of full episodes. 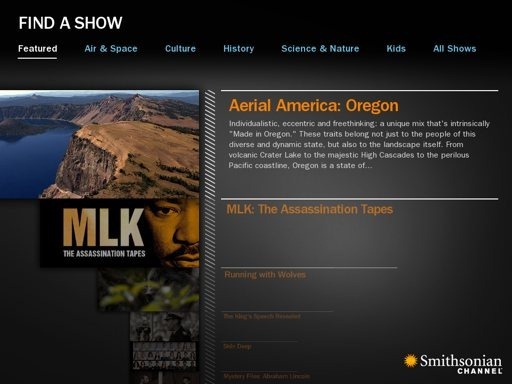 Getting around the app is simple – and it’s also easy to search for local Smithsonian channels in your area, see currently featured episodes, find a show, or even create your own channel made up of topics that interest you most. There’s a slick auto-play mode to continuously play related videos, AirPlay support, and a standard range of sharing options. If you’re looking for another source of quality TV content on your iPad, this free app is definitely worth a look. 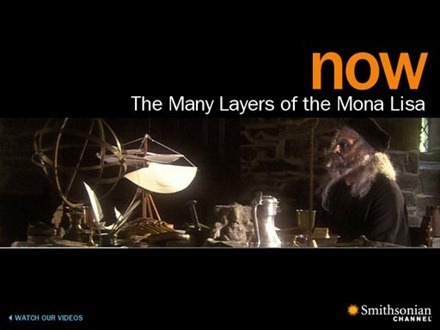 Here’s an App Store link for Smithsonian for iPad. It is not available for the Canadian Store. Too bad. It look so good. 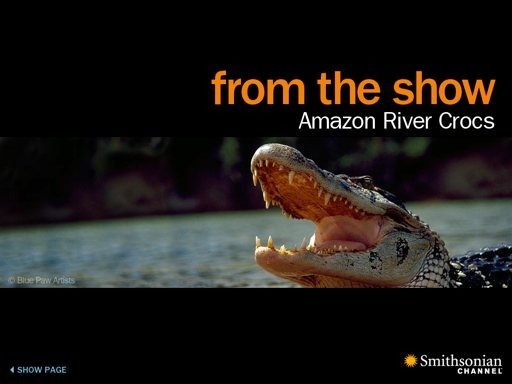 I was looking forward to watching Smithonian documentaries. Does anyone agree with me that it should also be available on the Canadian Store? I figure that if the app is apple approved, then it should be available to everyone!! AAAARGH! I would love to use this app. Please make this available in Canada!! !